Horrific CCTV footage shows the tragic moment a killer brandishes a 'Rambo-style' in the street after a row outside a nightclub - minutes before stabbing a young father to death. 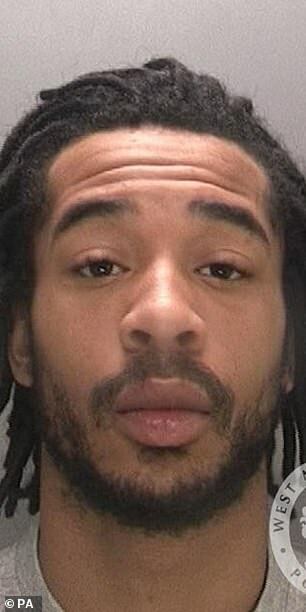 Carlton Donaldson, 23, was jailed for at least 23 years after he was found guilty of murdering Daniel Baird in Digbeth, Birmingham, in July 2017. 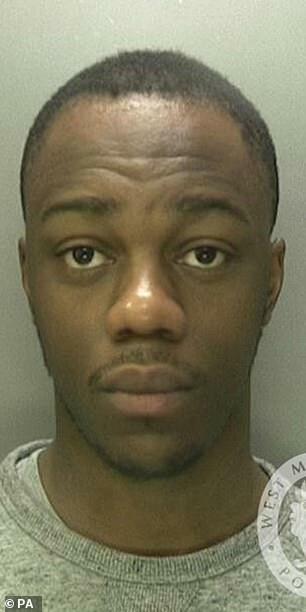 Donaldson's friend Sashon Brown was also jailed for two-and-a-half years after he was convicted of violent disorder. Footage captured outside The Forge Tavern showed Carlton Donaldson and his friend Sashon Baron getting into a heated argument with Dale Scott, a friend of Mr Baird. 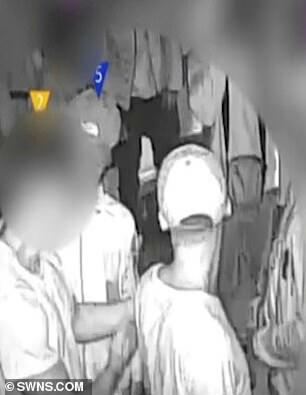 The footage shows Mr Scott stumble into a group, including Donaldson and Brown, after hitting a punch-bag machine. 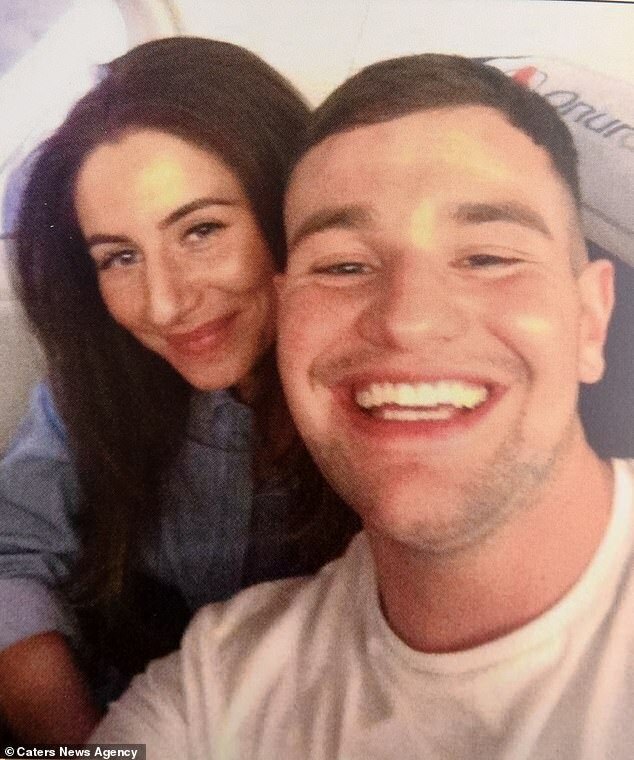 Brown, 25, of Sutton Coldfield, pulled out a folding knife and flicked the blade in a threatening gesture to show Scott he was armed and prepared for violence. Carlton Donaldson then steps in but the violence spills outside where the men are seen darting between a traffic-filled road in a dramatic chase. The man who bumped into Brown is then hit by a car and bounces off the bonnet and into the road. He gets back onto his feet and starts to run again moments after the heavy collisoon. Donaldson then pulls out a 'Rambo-knife', narrowly missing the target, before fatally stabbing Mr Baird in the chest. As well as murder, he was found guilty of wounding with intent, attempted wounding with intent, and violent disorder. 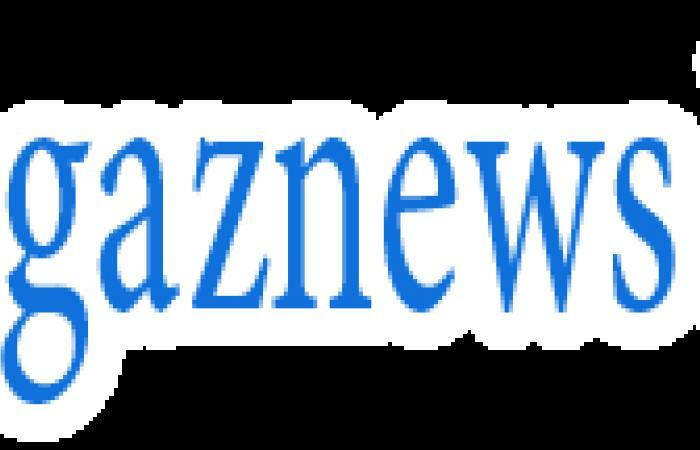 The judge passed concurrent jail terms for the other offences.